February 17, 2014 by Laurie Leave a Comment This post may contain affiliate links, which means if you click on a link and purchase something, I may earn a small commission (at no additional cost to you.) See my disclosure policy HERE. I missed the last two days of our 10 Easy Ways to Show You Care series while were on vacation, so I'll be catching up this week! While we were gone, I was reminded (again) that more than any more “stuff” my kids long for my attention. Now folks, I'm preaching to myself on this one because I struggle with it way too much, but maybe I'm not the only one. 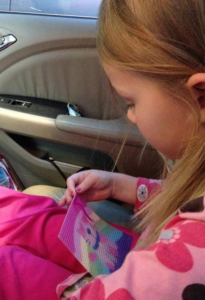 It's so easy to hand kids something electronic to entertain them (even just for a few minutes driving around town), but this is such a great opportunity (when they're buckled in and can't run away!) to change your focus and pay attention to them. If you have any other tips on focusing more on your kiddos and paying attention, I'd love to hear them! February 11, 2014 by Laurie Leave a Comment This post may contain affiliate links, which means if you click on a link and purchase something, I may earn a small commission (at no additional cost to you.) See my disclosure policy HERE. Here's just an easy (fun!) way to brighten your child's day after school. My kids always come home starving (or at least that's what they tell me . . .) and while I usually try to steer them towards a healthy treat, I surprised them this week with cupcakes at the door! I used the $.25 cake mix and frosting that I'd gotten a few weeks ago at Dollar General, added some fun $1 cupcake toppers for Michaels, and they thought life was pretty fancy. If you haven't surprised your children recently with a simple treat, take a few minutes this week to splurge on them! 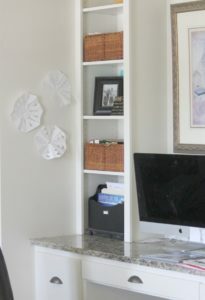 February 10, 2014 by Laurie 2 Comments This post may contain affiliate links, which means if you click on a link and purchase something, I may earn a small commission (at no additional cost to you.) See my disclosure policy HERE. 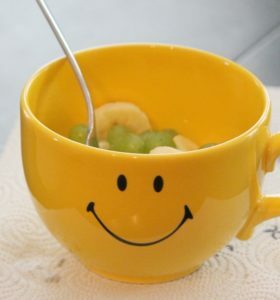 Looking for something simple to brighten your child's day? 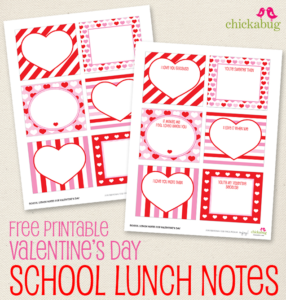 If your kids are in school and pack lunches, here's a huge roundup of fun Valentine's free printable lunch box notes you can surprise them with . . .
February 7, 2014 by Laurie Leave a Comment This post may contain affiliate links, which means if you click on a link and purchase something, I may earn a small commission (at no additional cost to you.) See my disclosure policy HERE. Apparently my girls have been making snowflakes at school, because they came home begging for me to make a few snowflakes with them. Of course I had about eight jillion things ahead of them on my to-do list, but after them nagging me for a solid hour, I gave in, sat down, and we got to work. They had the most fun just because I was present with them (I'm so bad about being there but not really being THERE ~ do you know what I mean?) I set aside my computer and phone, pretended I didn't have a clue in the world as to how to cut a snowflake, and let them teach me. Promise, you don't have to have big fancy supplies, spend lots of money, or do anything way out of the ordinary to show your kids just how much you love them. Just turn off the things that you sometimes steal your time (at least if you're like me . . . ) and spend a few minutes actually present with your children. February 6, 2014 by Laurie 1 Comment This post may contain affiliate links, which means if you click on a link and purchase something, I may earn a small commission (at no additional cost to you.) See my disclosure policy HERE. Here's another (easy!) fun treat you can do for your child this week. My kids love fruit, but enjoy gobbling it up even more when I take a few minutes to turn it into a funny face. So today when they got home from school, they each had a happy little treat to brighten their afternoon . . .
You can check out more fun ways to play with kids food over HERE ~ this is about as fancy as we get at my house, but I'm betting you can whip up something fun with a little creativity! February 5, 2014 by Laurie Leave a Comment This post may contain affiliate links, which means if you click on a link and purchase something, I may earn a small commission (at no additional cost to you.) See my disclosure policy HERE. One of my kiddos has had a particularly rough week, and the other has done such a good job encouraging their sibling, so I took a few minutes yesterday to write a note to each of them. I thanked one to for being so kind this week (which doesn't always happen at our house! ), and I encouraged the other child and just reminded them of just how much they are loved. It literally took five minutes to write them, then I placed them on their pillows to find before bed. 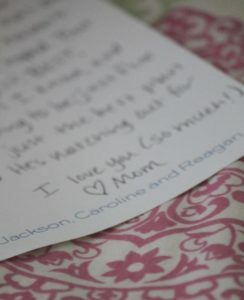 It took me less than five minutes to write the notes, and both of them gave me an extra hug lsat night at bed time. Sometimes I think we feel like we have to do so much for our children, but sometimes just letting them know they're loved is all they need! February 4, 2014 by Laurie Leave a Comment This post may contain affiliate links, which means if you click on a link and purchase something, I may earn a small commission (at no additional cost to you.) See my disclosure policy HERE. Here's another (easy!) way to do something special just for your child. My youngest daughter spends a lot of time driving around in the car while taking or big brother and sister to extracurricular activities, so last week we had a fun little splurge. Rather than just driving them around, we took a few minutes to shop and found a very simple needlework project for $3 (after coupon, of course) at Hobby Lobby. While we waited for her big sister, instead of handing her the iPad to play with so I could check Facebook, answer emails, or hunt down deals, I just sat with her (patiently?) in the car and showed her how to work on her new project. (Can you tell that girl likes pink?) It was a little tough for her tiny fingers, but she must have hugged me fourteen times while we worked because she loved that I was there with her, focused on her alone for a few minutes and not the jillion other things that I tend to pay more attention to. February 3, 2014 by Laurie 3 Comments This post may contain affiliate links, which means if you click on a link and purchase something, I may earn a small commission (at no additional cost to you.) See my disclosure policy HERE. I'm so excited about this (short!) 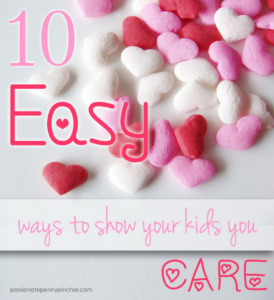 series we'll start today on easy ways to show your kids just how much you care about them since Valentine's is right around the corner. If you don't have kids at home, consider doing something similar for someone else special in your life – I've been doing a few of these already with my own kids and am amazed at how much they've loved having a little extra attention sprinkled on them! I don't know about your kids, but my kiddos love to be bragged on. 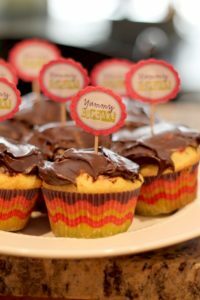 They love hearing that they did something amazing, especially cute, or even that they just had a good day, so this super simple Valentine treat is a great penny-pinched way to boost their day this month. I started adding a note to my kid's bedroom doors this morning, and will add one each day through Valentine's to make their initial. Done!